How can I create a symbolic link in Terminal? What command is used to create a symbolic link/soft link? │   ┌── Create a symbolic link. For more information about ln(1) see the man page. To create a symlink to replace a system directory (e.g. if you want to have /Users pointing to another disk drive), you need to disable System Integrity Protection. You can re-enable it after the symlink is set up. I know this question is explicitly asking about the Terminal, but if you're in GUI Land and don't want to enter Terminal Land, you can use SymbolicLinker. 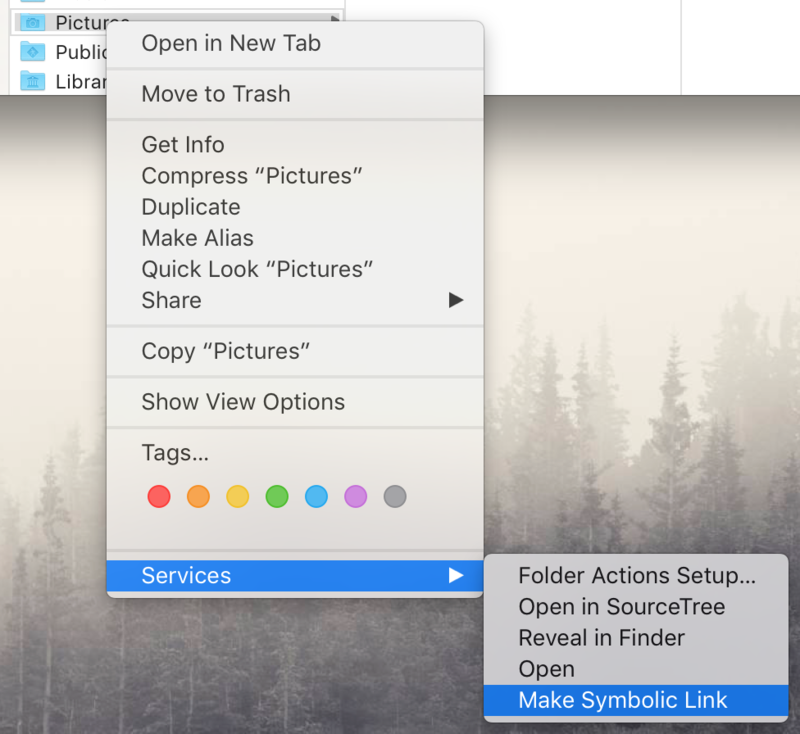 This puts a "Make Symbolic Link" option in your Services menu in Finder. It's just ln -s <source> <destination>. To create symlink to current directory you are in. Not the answer you're looking for? Browse other questions tagged macos terminal file symlink . What's the difference between alias and link? How to create MacOS/*nix command explainer text like this using a tool? What does a hard link do? Can I remove user's home directory folders? Why OSX symlink cannot Relative PATHs? Is it possible to let Picasa use a removable device as the Application Support folder using symbolic links? Is it possible to edit a macOS alias with vim? How do I create a symbolic link to a directory with a space in it? Why does my symbolic link not work?